The comments assume significance in wake of China-led slowdown, which has led to calls for India taking this as an "opportunity" as the global economy may need alternative growth engines. Reserve Bank of India (RBI) Governor Raghuram Rajan has said it will be "a long time" before India can replace China as a growth engine for the global economy, even if it grows at a faster rate. The comments assume significance in the wake of a China-led slowdown hurting the markets worldwide in the recent days, which has led to calls in India for taking this crisis situation as an "opportunity" as the global economy may need alternative growth engines. Asked whether India can replace China as a new growth engine, Rajan said in an interview to BBC, "India is one-fourth to one-fifth of China's size. Even if we can overtake China in terms of growth rates, the magnitude of the effect will be far smaller for a long time to come." As per the latest data available with the World Bank, GDP of the US is over $17 trillion. This compares with China at over $10 trillion and India $2 trillion. After Monday's market crash, Prime Minister Narendra Modi had stressed on the need to further strengthen the Indian economy and said that the present global crisis should be converted into an opportunity for the country. On Tuesday, Finance Minister Arun Jaitley also asserted that the global market turmoil was not a cause of "worry" and rather presents an opportunity for the country to grow further by speeding up the reforms. Stating that the world was being shouldered by a powerful engine that did not seem to be running fast enough, Jaitley said the global economy now "requires alternative engines". Stating that China was responsible for almost half of the global growth in the last few years, the Finance Minister said India is now the only major economy to grow at 7-8 per cent and "everybody else is far below". Rajan, on his part, said that China was a big country that has "become very important to the global economy", and every adverse development anywhere in the world would certainly impact the rest as well. He, however, said that it was wrong to attribute the problems for global markets entirely to China, as there were a number of other concerns too. Rajan, who is credited to have seen the global financial crisis of 2007-08 coming, allayed fears of any major crisis being round the corner. "Based on what I have seen so far there is no strong reason to believe that we are on the verge of another crisis... 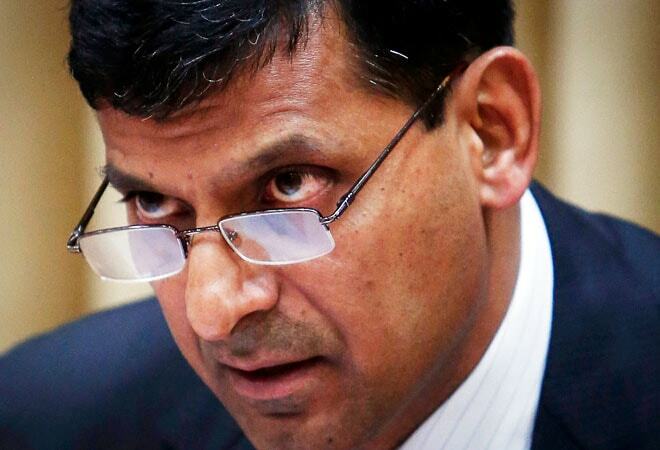 But we have to be vigilant about kinds of those fragilities that have built up in the last few years," Rajan said. Rajan also warned against central bankers being overburdened to fix the struggling economies globally and said the consequences may be "more bad than good" if they actually act. He, however, added that situation was different in the country where he was still faced with problems like high inflation. Rajan said that the problems of economy should be solved through reforms and over-intervention by central banks was not a happy situation. "I have been a little concerned about the immense burden for action that is falling on central banks. I think it is quite legitimate for central banks to say at some point we can't carry the burden ourselves. In fact, we may not have the tools to do everything that is asked of us," Rajan said. "Don't keep asking us to do more, because at some point we get into territory where the consequences may be more bad than good if we actually act," he stressed. Rajan acknowledged that his situation was not typical in the current climate because unlike most global economies India still has high inflation at close to 6 per cent. Interest rates are also high at 7.25 per cent despite having been cut three times this year to try and stimulate growth. "In my country, I'm faced with traditional central bank problems like inflation so we still have a handle to work with those. "But in some other countries you are faced with problems which are maybe way beyond what the central bank is capable of addressing such as demographic change, deep changes in productivity - and those are probably best dealt with other tools," Rajan said. "But if the other tools are not being used or there is a sense they will take too long to work and you are working with the central bank only as the primary engine you may end up in situations that actually create more harm than good. Once interest rates are at zero, it is hard to crank up new tools," Rajan said.